Description: NOTE: The first part of the message was not recorded. Every day we are faced with obstacles to our faith in G-d and His promises for our lives. It is easy to become discouraged and overwhelmed by life causing us to wonder if G-d will ever fulfill His word in our situation. 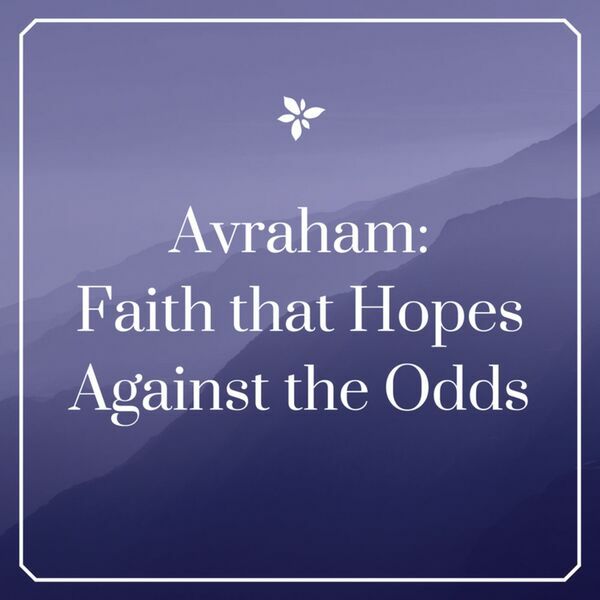 Like Avraham, we must have faith that hopes against the odds because our G-d is greater! We must exercise our faith in the same way as Avraham keeping our focus on the G-d who is able to do more than we could imagine or think. As we live by faith, G-d will move in our lives fulfilling the promise that He has made. NOTE: The first part of the message was not recorded. Every day we are faced with obstacles to our faith in G-d and His promises for our lives. It is easy to become discouraged and overwhelmed by life causing us to wonder if G-d will ever fulfill His word in our situation. Like Avraham, we must have faith that hopes against the odds because our G-d is greater! We must exercise our faith in the same way as Avraham keeping our focus on the G-d who is able to do more than we could imagine or think. As we live by faith, G-d will move in our lives fulfilling the promise that He has made.